Much has been written about the Battle of Britain from the perspective of the victorious British but this is obviously not the only side to the story. The experiences and views of the Germans differed greatly, even to the extent that their Battle of Britain veterans are not celebrated. In contrast Britain pays homage to its veterans on September 15 at the Battle of Britain day. Sixty years after the duel in the skies, German veterans of the Battle of Britain say that its importance is exaggerated and that it is ‘insignificant’ to the war in general. Julius Meimberg, Battle of Britain veteran said, ‘It’s all exaggerated, Churchill succeeded in creating this myth that so few did so much for so many. When you look at how we fought against the Americans later, the Battle of Britain was very little in comparison.’ Reports support recent suggestions by some historians that the Battle was in fact a British Naval victory, rather than an aerial one. It is argued that the German armed forces, which had only been fully reconstituted in 1935, could never have secured a bridgehead or defeated the Royal Navy. Evidence suggests that German Luftwaffe were massively underprepared for battle. Pilots had little time to engage with the enemy as a Messerschmitt Bf.109 had only enough fuel to remain over England for 20 minutes. Fear of ditching in the Channel haunted the pilots. By the first week of September they had an even more serious problem: a severe shortage of aircraft. Each fighter staffel – or squadron – was supposed to have 12 aircraft, but according to the extracts from the diary of Bethke, a German fighter pilot, he had just five left in his. His 1st Gruppe, with just 18 aircraft in all, was now half-strength; the 2nd and 3rd Gruppen had only 12 aircraft each instead of 36 – in other words, they were operating at between a third and half strength. It was the same for those fighter units in the Pas de Calais. In complete contrast, RAF Fighter Command’s numbers were steadily rising, despite the heavy air battles of recent weeks. German military intelligence also left a lot to be desired. Its sources said radar stations were unimportant and should not be targets. It also misreported strength, weapons, and losses. The faulty intelligence resulted in poor strategy. The Luftwaffe consistently varied its tactics in its attempts to break through the RAF defences, but according to a German fighter pilot ‘we can almost never surprise them’. Clearly there were tactical errors. There are a few organizations in Germany, for example the German Fighter Pilots’ Association, who attempt to keep the traditions of the Battle of Britain pilots alive and take care of veterans who find themselves in difficult circumstances. In general, however, it seems that the German public has little interest in the defeated soldiers of this battle. From their perspective the Battle of Britain highlights flaws in the Luftwaffe’s organization and tactics. In addition it does not seem to them to be a turning point in World War II, but rather just an embarrassing defeat; not down to the great skill of the celebrated British RAF, but rather the mistakes of the German Luftwaffe and Britain’s control of an impressive Royal Navy. "Luftwaffe massively underprepared for battle," That's hard to believe after their extensive air operations in Spain, followed by Poland and France. "Severe shortage of aircraft," yes, thats what happens when you come up against someone that shoots back, by Sep. 1940 The RAF had been chipping away at the Luftwaffe for 12 months under the inspired direction of Hugh Dowding and Keith Park, and at great cost to the "Few." 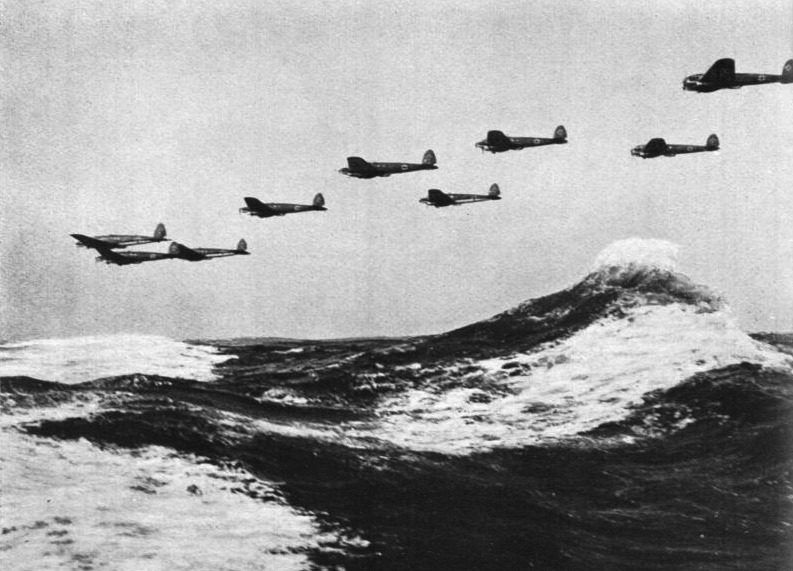 The Royal Navy did a fine job in naval warfare, but the September air war put paid to any thought's of invasion.